Water for the children's home at Rajoli, India, is pumped from a well. The electric power is unreliable, leaving periods of time when there is no water available. 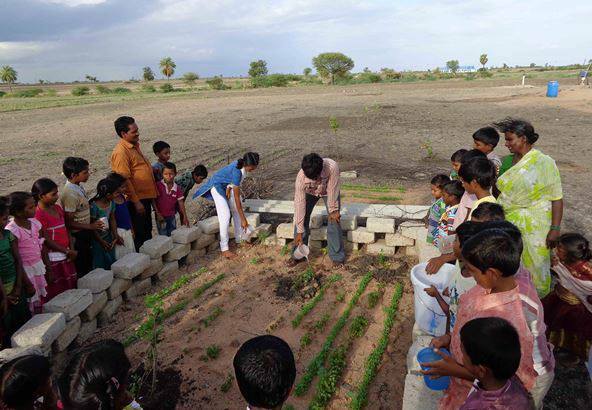 In photo above, Rajoli children learn how to garden using some of the precious water. Total cost of project: $540 (U.S. dollars).